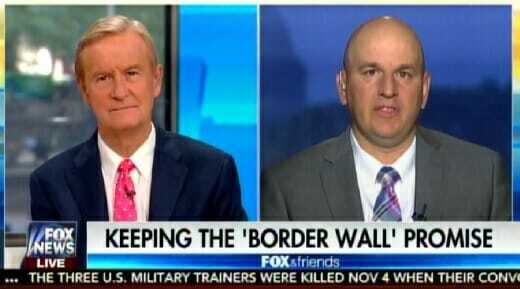 National Border Patrol Council President Brandon Judd went on FOX and Friends to discuss President Trump’s border wall and current border enforcement. Judd told Steve Doocy the morale in the patrol under President Trump is higher than he’s ever seen it in 20 years. Peter Doocy: Exit question. I know during the Obama administration I know a lot of you and your officers felt hamstrung, couldn’t really do your job. What about now? Brandon Judd: There’s a vibe, there’s an energy in the Border Patrol that’s never been there before. In 20 years that I’ve been in the patrol, we haven’t seen this type of energy and we’re excited, because we signed up to do a job and this president is allowing us to do that job.